Independent Children’s Lawyers (ICL’s) have been a hotly debated issue within Family Law in Australia. The recent controversies surrounding ICL’s have necessitated inquiry and the Australian Government’s response has been an Australian Institute of Family Studies study into the effectiveness of ICL’s commissioned by Attorney General Nicola Roxon and the Attorney General’s Department. 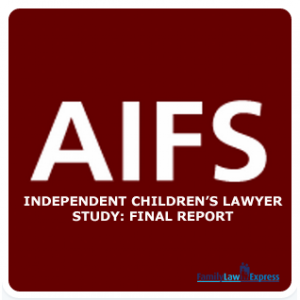 The study, examining the extent to which the involvement of an ICL in family law matters improves outcomes for involved children, was concluded with the release of a final report in May 2013 by the Australian Institute of Family Studies (AIFS); Independent Children’s Lawyer Study: Final Report (AIFS ICL Report). The final report evinced a number of important findings, significantly contributing to the ICL debate, albeit from a definitively legal perspective. Of the 562 research participants involved in the study, 528 participants were professionals working within Australia’s family law system, a notable 169 participants being ICL’s themselves and another 192 participants being non-ICL lawyers. Thus there is a strong predilection within the study towards legal opinion. This does not necessarily discount important findings of the study. Rather, in considering the research findings one must be mindful of the inherently legal perspective from which they emanate. The AIFS ICL Report importantly recognises existent concerns regarding ICL’s. Namely, these concerns are recognised to relate to Australia’s current ICL model, Australian ICL funding arrangements, and most importantly, whether or not these stand to satisfy Australia’s obligations under the United Nations Convention on the Rights of the Child [1-UN General Assembly, Convention on the Rights of the Child, 20 November 1989, United Nations 1. 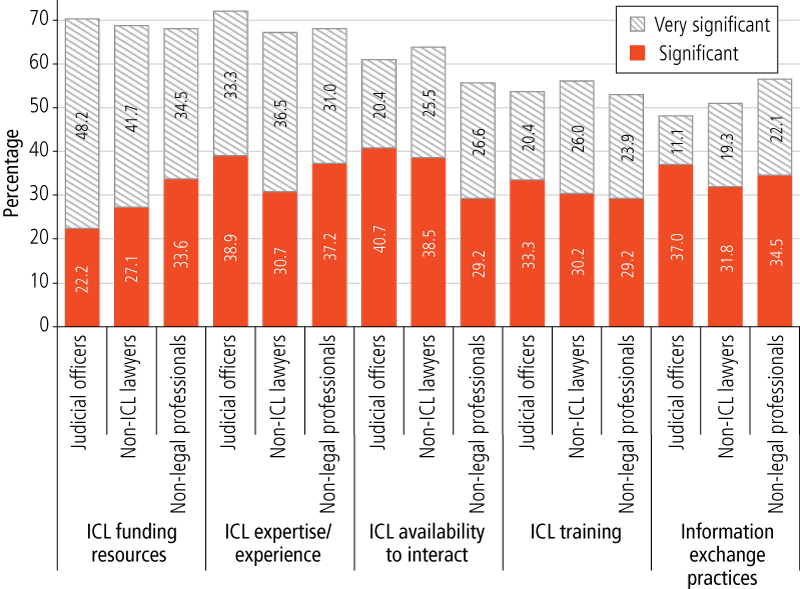 Moreover, the main findings of the study emphasise that the practice of ICL’s in Australia is fraught with a number of complexities. The first of these complexities revolves around the policies which guide and dictate ICL practice. It is revealed that whilst the legislative framework for ICL’s is consistent across States and Territories, in reality there are considerable differences in the policies of State and Territory Legal Aid Commissions insofar as ICL practice is concerned. This inevitably contributes to the further finding that there are substantial variations in ICL funding across States and Territories. The AIFS ICL Report starkly notes funding disparities, reporting that between 2009 and 2012 funding arrangements varied to such an extent that total ICL grants ranged from just over $395,000 in the Northern Territory to just under $23 million in Queensland. 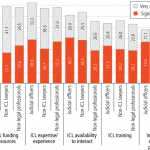 The AIFS ICL Report presents that not only do ICL policy and funding arrangements vary, but ICL practice varies, an inevitable consequence of differing policy and financial structures. The greatest variation in ICL practice is reported to be in the area of participation, that is, the extent to which the ICL’s engage with and involve the children to whom they are appointed. Participation is explained to involve familiarisation (that is the child becoming familiar with the ICL and vice versa), explanation (explanation by the ICL of the legal matter and related processes and outcomes to the child), and consultation (active engagement of the child by the ICL in seeking to obtain and understand the child’s views concerning the legal matter). The AIFS reveal that variance within ICL practice and approaches are most prominent in the area of consultation. The AIFS ICL Report identifies the role of an ICL to be a multi-faceted role made up of three dimensions, which, as revealed through their study data, are relevant to varying extents, such extents dependent on individual case circumstances. Perhaps one of the major, and certainly more important, findings of the AIFS ICL Report is that there is a definite disparity in perspectives regarding these dimensions of ICL roles. It is reported that ICL’s themselves value the evidence gathering and litigation management dimensions of their role above their function of facilitating child participation. In stark contrast, the children involved with ICL’s along with their parents and carers place the most value on the facilitative aspect of an ICL’s role. This disparity in perspectives clearly causes detriment to satisfaction with ICL practice, and, as the AIFS ICL Report reveals, significantly decreases confidence in the ability and capacity of ICL’s to understand and advocate for a child’s best interests. Regarding assessments of the effectiveness of ICL’s, the general trend in the AIFS ICL Report was positivity on the part of judicial officers and ICL’s but lesser assessments coming from non-legal professionals and non-ICL lawyers. Despite these assessments, the AIFS ICL Report repeatedly finds that ICL’s are valued for their independent, impartial and child focused perspective. Furthermore they are found to be particularly valued by judges, esteemed by judges from an evidence gathering perspective. The AIFS ICL Report acknowledges extreme diversity in the circumstances and families to which an ICL is appointed, such diversity adding complexity to the ICL role. A significant theme which emerges from the AIFS ICL Report in regards to the parents and children involved with ICL’s is that these parents and children understand the focus of an ICL’s role to be participation of the child in the matter. As aforementioned, the Report reveals an inherent contradiction between this view and the view of legal practitioners, this incoherence recognised as one of the key issues which needs to be addressed in the realm of current ICL practice. The AIFS ICL Report concludes that there is a potential capacity for ICL’s to be admirable and in such a case to be highly valued by the broader legal community and those involved in family law matters. The AIFS do however recognise that concerns exist about the capacity and commitment of certain practitioners. Broadly speaking, the AIFS recognise that concerns exist in regard to the adequacy of ICL training and accreditation. They further recognise the constraints placed on ICL service provision as a result of ineffective funding arrangements. Moreover, it is significant to note the AIFS’ recognition that the performance of certain ICL’s does not meet the required standard, principally as independence, impartiality and professionalism are concerned. Finally, the AIFS ICL Report notes that there are multiple individual and systematic issues which impact upon views as to the effectiveness of ICL practice. Whilst not giving an overwhelming impression that reform is needed, the AIFS present the respondent consideration that current mechanisms for ICL selection, training, performance monitoring and accountability assurance, need to be strengthened. For more information on ICL’s keep an eye out for Family Law Express’ upcoming Final Report of an independent study into Parental Experiences with ICL’s. If you have been involved in a matter regarding Australia’s Child Protection System and wish to contribute to a 2014 Senate Inquiry into Children in Care in Australia then please contact the Australian Legislative Ethics Committee.